Hi, I am 15 years old and I quit swimming 2 years ago. I have still done swimming in between but now with a club and at a competitive level. 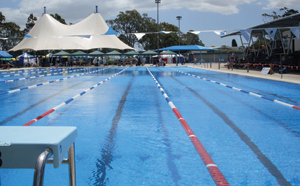 Now I want to get back into swimming but I have very low endurance, how would you suggest that I improve? I would begin Sarah doing 3 x 1 hour sessions a week and then 2 weeks later do 3 x 1 1/2 hour sessions for 2 weeks. Once you are comfortable doing this, you should increase to 4 x 1 1/2 hour sessions and work towards doing 5 x 1 1/2 to 2 hour sessions in the following month. By gradually increasing the length of each training session and the number of sessions you do each week, your endurance levels will improve over time. If you went straight into 5 x 2 hour sessions a week, you risk injury and may do too much, too early and not be able to sustain it. 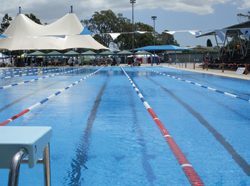 If you are then serious about competive swimming, at 15 years of age, you will need to then increase the number of sessions you do each week to 7-8 and be guided by your coach on any additional swimming and dryland work. When you are only doing 3 to 5 sessions per week, other activities like walking or bike riding will also assist you to improve your aerobic fitness.